Fly tying is the process of producing an artificial fly to be used by anglers to catch fish by fly fishing. Fly tying is also a science rooted in careful observation of fish and their prey, and then designing and tying artificial flies to replicate that prey to catch fish. Fly tying requires some basic equipment, the appropriate materials for the fly pattern being tied and a fly pattern to follow or replicate. Fly tying equipment enables the fly tyer to efficiently and effectively assemble and secure the materials on the hook. Flying materials were originally limited to various furs, feathers, threads and hooks. Today there many different types of natural and synthetic materials used to tie flies. Fly patterns represent the “recipe” required to create the “fly” what hook size(s) and types to use, what materials are to be used, what colours, in what sequence and by what methods are they assembled on the hook. These are the elements of fly patterns. Of patterns, there are thousands. 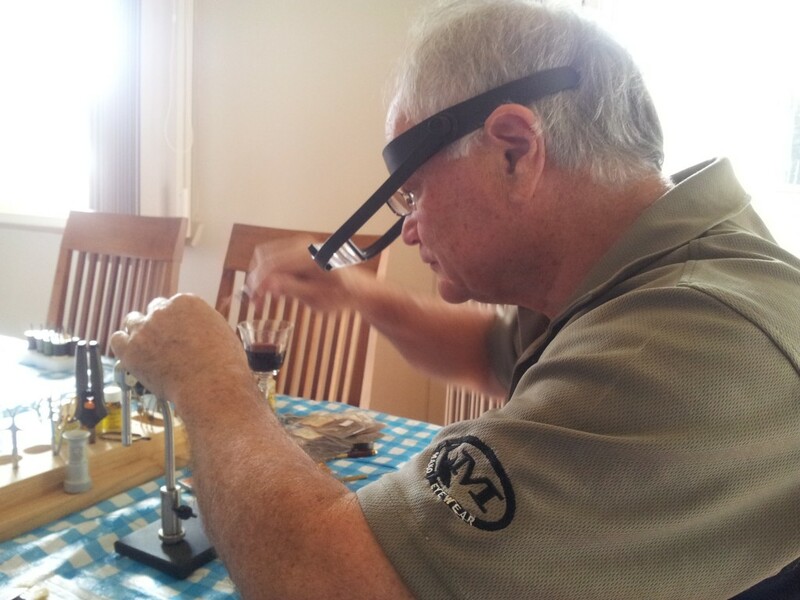 MPFF runs regular fly tying classes and has a number of fly tying vises and material “start-up” packs available for members to try before they buy their own equipment.